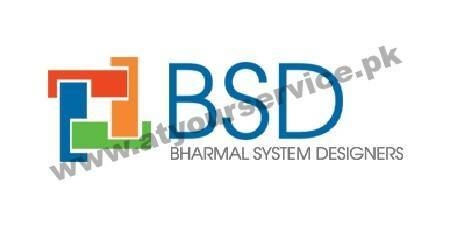 Bharmal System Designers has established as a software house in January 2006. With almost a decade of completion, the company has grown to become a strong force in the market. Our online and offline products have been implemented in various organizations and with the team of professionals, Bharmal System Designers is getting stronger day by day. We have successfully designed and implemented a number of expert applications that suit our customers business needs. We have a team with more than 6 years of experience in desktop and web applications who are willing to take challenging work and put them in best use for you. 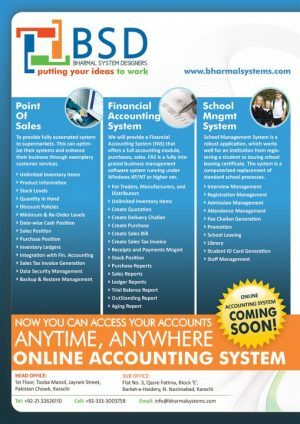 Bharmal Systems delivers robust products that provide companies with effective ways to access, understand, publish, and maintain critical business information. We always pursue excellence in all our projects to achieve both our clients and our professional objectives. We always deploy state of the art technology as compared to the other options available in the market of the same stature. Discover how our innovative solutions can handle your business's IT infrastructure needs. Our corporate solutions can take your business a step ahead to provide exemplary services to your customers cost-effectively.